Today’s short post looks at the case of Wells Fargo and how it has responded to the scandal that saw it fined $185 million for fraudulently opening up to 2 million accounts, on the basis of extensive pressure from the very top of the company to hit quotas – with its now former CEO John G. Stumpf famously developing the mantra of ‘eight is great’ meaning that each customer should be hold at least eight Wells Fargo products. However, recent news suggests that investors in the massive bank are starting to mobilise in order to affect some sort of positive and responsible change, a development witnessed in the U.K. recently as well, as alluded to last month in Financial Regulation Matters, but this post will suggest that the chances of affecting that change are slim and that, ultimately, how Wells Fargo responds in reality will be a clear indicator into the power of the institutional investor. The scandal which hit Wells Fargo recently, despite Warren Buffett’s (a major investor in Wells Fargo) brazen but perhaps accurate assessment that the damage is not ‘material’, has generating an enormous amount of publicity. Essentially, in attempting to respond to incredibly coercive demands from the leaders of the bank, up to 5,300 employees engaged in a systemic approach to manufacture sales, which included creating fake email accounts to sign up customers for online accounts, sham accounts, and even issuing credit cards to customers without their consent. The damage then spread, with four executives being fired in connection with the scandal, and then the executive responsible for the culpable division and then the CEO leaving their positions and facing attempts by the bank to ‘clawback’ the compensation that they left with, which accumulated to over $60 million between them. This has led to major institutional investors, including those representing religious institutions, to seek to pressure the bank to seek to investigate the ‘root causes’ of fraudulent activity and to commit to a ‘real, systemic change in culture, ethics, values and financial sustainability’. However, the bank has responded by declaring that a report will be made available next month and this it has already taken ‘decisive steps’, which including the dismissals mentioned above. However, the bank is still continuing to suffer from the scandal, with losses at the end of 2016 coming at 4.3% lower than before, and a reduction in contact with customers in most areas including credit card applications and the opening of checking accounts (although deposits and debit card spending did increase). So, in essence, Wells Fargo represents a classic dichotomy in terms of moral-based institutional investors attempting to initiate change by way of capitalising upon poor performance, and a dominating and influential core i.e. Buffett, who believe that the damage is temporary. 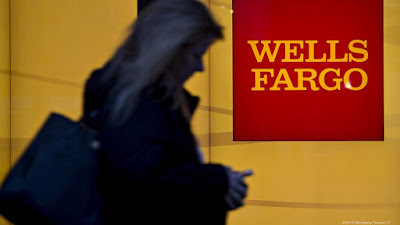 Also, the calls by investors to initiate a root-cause investigation of fraud and immoral behaviour in the firm essentially walked out of the door with millions in his pocket – the case of Wells Fargo differs from other financial scandals because the line of command, in terms of setting the culture, is particularly clear. The mass dismissals were regarded as a positive step, but in reality it has made it much harder to punish wrongdoers and make an example of them; it is very unlikely those that committed this fraud will ever be brought to justice. There are signs that the leaders and nurturers of this culture may not get off so lightly, with leading senators calling for action, but it remains to be seen as to whether the current political climate in the U.S. is fertile ground for corporate prosecutions. What is for sure, though, is that the dismissals at Wells Fargo do represent a ‘decisive step’, but potentially in the wrong direction; it is now important that those responsible are prosecuted for their crimes, but it is advisable not to hold your breath.